BREAK THROUGH ARTISTIC BLOCKS! GAIN ABUNDANCE WITH HUGE BENEFITS!WIPE OUT LIMITING BELIEFS! GET OUT OF A RUT! Maryse Schembri is conducting her 113th class. The Spring is a time for many creative people to get in touch with their creativity and authentic selves. I am excited about doing another class. There is a great demand for a course that gives you excellent facilitation, creative exercises that move you to the next level, and group support. 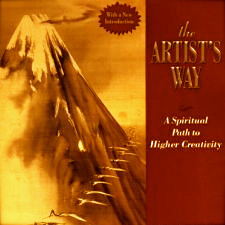 Aside from this group collectively going through the Artist’s way book by Julia Cameron, I have added other fun exercises including drama, dance and future projection. This course makes you accountable to the other members of the group and propels you forward in a very safe atmosphere while having lots of fun and making new friends!! Please note that unlike some other courses that are offered, this is a course that I created 26 years ago. It is professionally facilitated and the book is only used as a base. You will get much more out of this course than doing the book by itself.